A successful story of crossing borders with a tasty broth. Our journey started in the back alleys of Bangkok full of FLAVOURFUL street food. 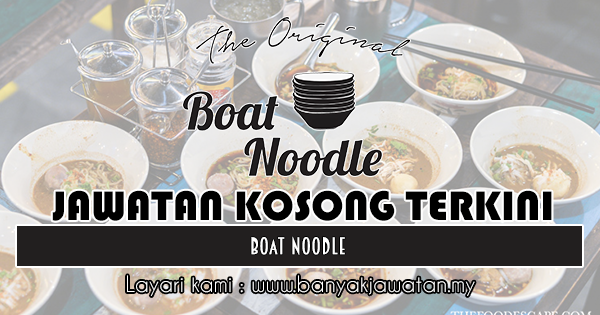 Feeling inspired, in March 2014, the first Boat Noodle outlet opened its doors in Malaysia. dan banyak lagi jawatan lain menanti..
0 Response to "Jawatan Kosong di Boat Noodle - 2 September 2018"